If you are looking for new customers, inbound marketing is for you! Instead of spending thousands of euros on expensive advertising, you could reach your potential customers with a simple tool: internet content. The aim of inbound marketing is not to go looking for buyers, like many other marketing tactics but to be found when it’s needed. It is an interesting reversal and a very convenient one. This type of marketing is all about being found at the right time by the right customers, in need of your product/service. You will be able to attract and encourage them to make a purchase thanks to your digital channels (website, social pages, etc.). 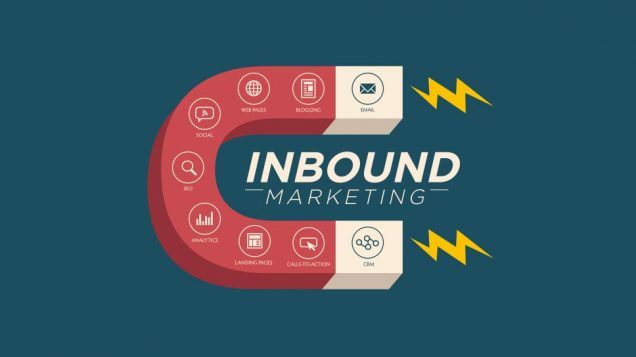 Now here is the beauty of inbound marketing: it does not aim only to make new customers, it also inspires them to promote your products and fall in love with your brand! It’s possible to find people interested in your products and services without the need to bombard them with advertising: just create content related to their interests, so when in a time of need they will turn to you! In today’s world computers and mobile phones are used every day to find solutions for every type of problem, so creating content online is a wise choice, to attract the attention of potential buyers. It is precisely this concept that is the basis of inbound marketing, creating quality content for a well-defined audience to fulfil specific demands: the aim is to always provide a consumer with the products or services they are looking for, in this case, what you offer. But what does “quality content” mean? What is it specifically? It is a web page, which contains a text and images concerning a specific research key, to provide a solution to a problem or an opinion on a particular matter. For example, if someone searched on Google for “Laundry in Hoboken”, the search engine would provide them with a list of the most relevant web pages for that search key, to best respond to the user’s search. By creating quality web pages, designed to answer specific questions, it will be much easier for a search engine to connect your products/services with customers who are already looking for them. This is the beginning of a process that aims primarily to make your business known, and secondly to transform a visitor into a satisfied buyer, happily promoting who or what has provided a solution to his problem. Once you have attracted potential customers it’s time to generate conversions: it’s at this point that email marketing comes into play, it’s the ace up the sleeve of all successful companies that move on the Internet. After creating quality content that has brought new visitors to your site, this is the decisive moment to start turning them into potential customers! First, you need to convert visitors on your site into contacts (leads), people who are willing interested in your products and services and are willing to give you a name and an email address. To obtain this useful information for your marketing campaigns, it is generally always better to give something to users before making a request: a discount, an ebook, downloadable content, etc. Today, personal data (name, surname, email, etc.) has greater importance, so everyone expects something in return before giving it. you, because you will have gained contacts to send target specific communications, to transform the contact into a customer. After getting interested leads thanks to your site, this is the time to generate a conversion or a purchase. How to get conversions? Undoubtedly there are various ways to push someone to buy, but there is only one that is the best balance between money invested and earnings: it is email marketing. By sending email campaigns, you can create specific messages for a particular target, spending very little and getting effective results in a short time. Emails are essential to increase your turnover: not everyone who visits your site will want to make a purchase on the spot, but thanks to your email campaigns you can keep reminding them that you exist. Maybe it will be in aday, a month, or a year, but if you continue to send effective messages with your emails, sooner or later your contact will complete the purchase. Don’t give up! To transform a contact into a customer with email marketing, it is essential, to produce quality content: create email campaigns with unique promotions, fundamental advice or talk about relevant topics. Otherwise, you will not be able to establish a relationship of trust that leads to the purchase of your products or services. Email marketing allows you to create a bond with people interested in what you do, this bond can not only get new customers but create your own army of promoters: highly loyal customers are the best advertisement that exists, because they will continue to bring friends and relatives to your site, and increase the turnover of your business. specific communications sent via email marketing campaigns. With the content, you will attract more visitors and push them to register, once you get their email addresses you can turn them into customers with promotional emails and newsletters. eMailChef is here for you, to help you bring out your potential and increase your earnings thanks to email marketing, which is the least expensive and most profitable way to turn casual visitors into super-loyal customers. Try our platform for free bulk mailings: it costs nothing and you don’t need to provide any credit card details. The only risk you run is to fall in love with eMailChef!